Identity Protection: Who Needs Your Information? Your Social Security Number (SSN) is the key to your identity. This nine-digit number is also the key that opens the door to identity theft. When doctors, lawyers, employers, and creditors are all asking for your SSN, who can you trust? Is it mandatory to provide it, or can you say no? Keep the following details in mind before handing out proprietary information. The FTC reported over a quarter-million identity theft cases last year. Avoid the need for credit repair by staying off the list. Who needs your Social Security Number? Since the 1960s, SSNs have been primarily used to track citizens’ earnings and tax information. When filing your yearly returns, the IRS requires your SSN to coincide with your internal file. Speaking of the IRS, good luck opening a bank account without a SSN. Banks need your information to first verify your identity, but also to provide earning statements such as interest to the IRS at tax time. Be sure to include your SSN on government forms and applications. • The Department of Motor Vehicles (DMV). The DMV needs your SSN before they can issue a driver’s license or other official document. Thankfully, they stopped listing SSNs on licenses in the late 1980s. While it may seem rational that your doctor needs to identify you in order to provide treatment, most medical practices ask for SSNs to link to insurance company records. Ask if your insurance provider will accept another form of ID. If they do, your doctor will probably accept it as well. • Supermarkets and departments stores. Although frequent member cards offer significant discounts, you shouldn’t need ID verification to join the club. Provide your name, address, and phone number, but never fork over your SSN at the checkout line. • Internet, TV, and cell providers. A utility or entertainment provider usually requires ID verification and a credit check before setting up service. That said, try to avoid filling out applications where your SSN is left on file. Instead, consider offering to provide a recent copy of your credit report or applying for service in person. Personal information is safer out of print. Yes, airlines do require identification before you fly. No, your SSN is not needed. Present your driver’s license or passport instead. They offer the same level of security without compromising yours. While a university may require it, your child’s nursery school is another story. Ask the administration why your SSN is necessary. Yes, your employer does need to verify your identity for payroll and tax purposes. However, that doesn’t mean you must provide your SSN. 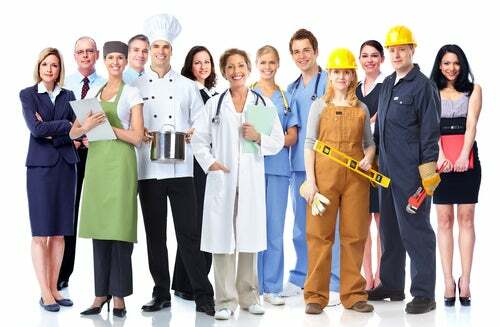 In some cases, you may be able to use an Employee Identification Number (EIN) issued by the IRS. An EIN offers identity verification without sacrificing SSN security. Your SSN is a valuable and should never be shared without cause. Ensure that the parties who require your SSN take measures to protect your identity. When in doubt, offer to provide the last four digits rather than the whole number. 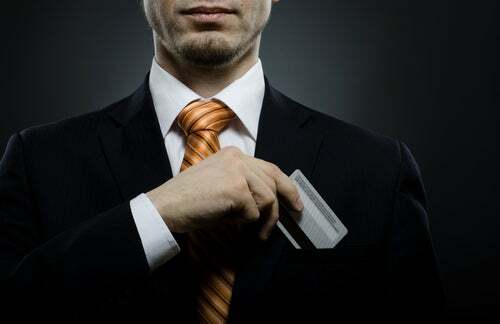 Credit repair and identity theft go hand-in-hand. Mitigate your risk before a problem occurs.